As customers, brands, topic enthusiasts and activists engage in online conversations across social networks, public and private online communities, we all have the opportunity to grow our knowledge understanding and appreciation of others. From an organisations point of view, the ability to understand the relevance of these conversations and to be able to harness and develop them in order to grow and develop their people, products and services, requires a cultural shift which embraces conversation and collaboration underpinned by a model which reflects where these conversations are taking place. Which conversations are your employees and customers engaged in today and where could you be working in partnership with your customers in the future? giffgaff is a sim only mobile network which provides a range of pay as you mobile services, wholly owned by Telefonica/02, and operated as a separate limited company. 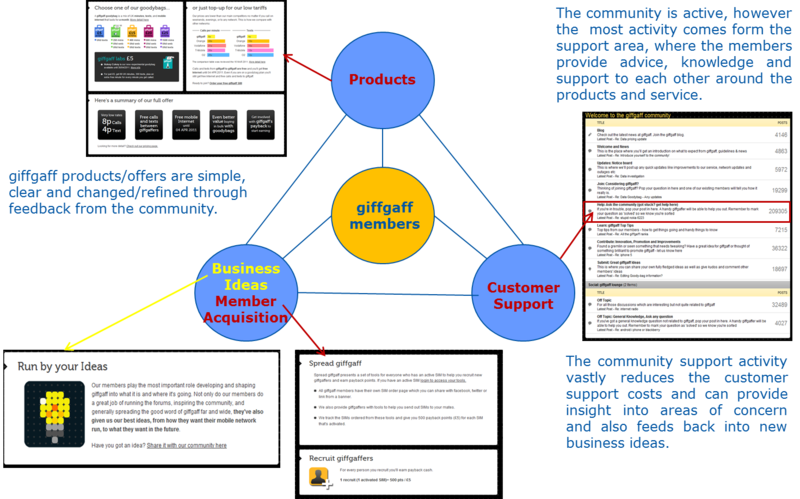 giffgaff is widely recognised as a social business pioneer having developed, implemented and running a member(customer) centric social business model, partnering with their member (customer) community) to develop and build their business. the giffgaff member community is managed by a team of 16-20 community managers, headed by Vincent Boon, who you can follow on Twitter @vincentboon where he provides updates on the giffgaff community and their interactions. 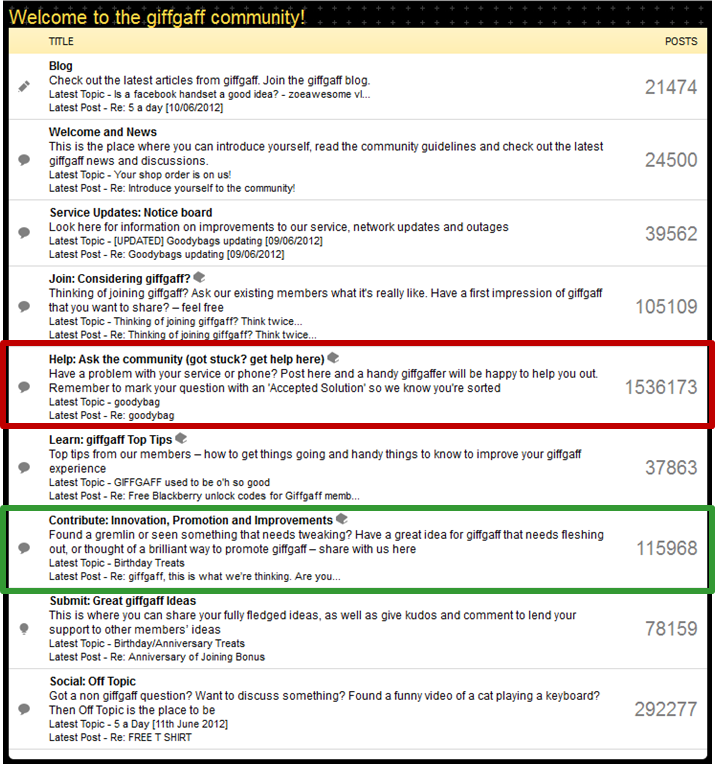 Looking at the giffgaff community, the most active threads are the peer to peer member support area with over 1.5million posts – highlighted in red above and the innovation, promotion and improvements thread with almost 116k posts, highlighted in green above. giffgaff encourage their members to spread the word and provide them with a range of tools to share across social networks, including facebook and twitter. 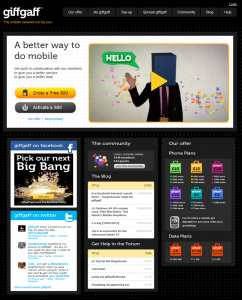 Follow @giffgaff on twitter here. Like giffgaff on Facebook here. Members are rewarded twice a year, based on their level of member support activity, involvement in product testing and contribution to product ideas and other feedback. Earlier this month, June 2012, giffgaff paid back £1.1m to the giffgaff community, a massive increase over 2 years from the first payback of £27k, demonstrating the increasing involvement and support of their member community. Read giffgaffs update here. Giffgaff Manages Its Community To Deliver A Great Customer Experience, by Jonathan Browne. Last week, I attended the European Customer Experience World conference at the Hilton T5 Heathrow, and chaired the social media stream on the first day, where we had 3 great speakers, Joe McEwan, from Innocent Drinks, Jonathan Browne from Forrester and Kenneth Refsgaard from TomTom. Each of our speakers provided insights into how different companies are creating connections with their customers through online communities, what struck me was the difference between Innocent Drinks and TomTom in their approach to creating and connecting with their customer communities. 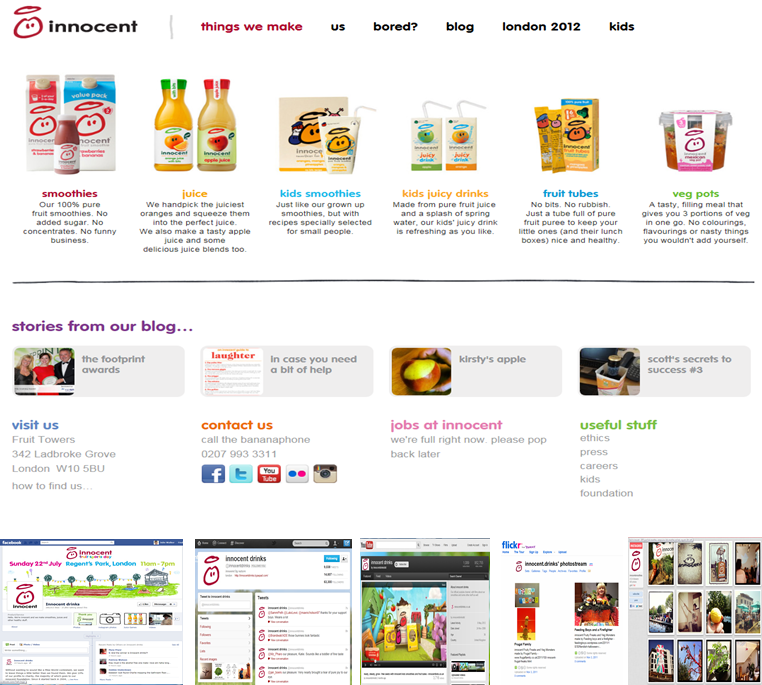 From the start, Innocent Drinks have had a close connection with their customers, from the sale of the first bottle of their crushed fruit drinks at a Music Festival to today, where they engage with them across multiple channels, online, on their packaging and through their events like this years innocent fruit sports day in regents park. The culture of innocent drinks is fun, collaborative and enthusiastic and it is their ability to communicate this to their customers and create emotional connections with them creating ongoing dialogue and include them in their various initiatives with great success. 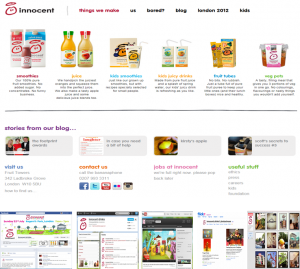 The primary channels used by innocent drinks are their website, blog, facebook page, twitter feed, youtube channel, flickr and Instagram. On the other hand TomTom is a different type of company, selling technology based products, which attracts a different kind of enthusiast and advocate than innocent drinks. innocent drinks, have brand advocates who identify with the culture of the company, the fun lifestyle reflected in their communication, packaging and events where TomTom advocates have a keen interest in technology, what it does, how it works, the problems it solves and share their technical knowledge with each other helping to resolve product support issues. 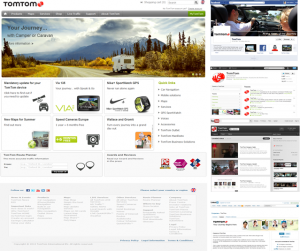 TomTom provides a range of communication channels for their customers, their website, a hosted customer community, facebook page, twitter feed, youtube channel, linkedin careers group and google+ page, all of which are managed by the TomTom community team. TomToms’ hosted community partner is Lithium who provide both the hosted platform plus the expertise in growing and developing an active and vibrant community. TomTom use their social channels to communicate with and facilitate conversations between their customers as well as informing prospective employees about current opportunities and life at TomTom. ROI Not primary focus, as customer conversations and accessibility of internal teams is part of company DNA ROI is related to customer support cost savings, which are measured and reported. It would be good to hear your feedback on these observations or your own experiences of creating and developing online communities, please leave a comment or contact me directly. Over the last couple of years, I have worked with a social media monitoring and online community management and market research companies and each one advocates the value of their access and ability to interpret social conversation data, however very few, if any can position themselves in the overall social conversation space. 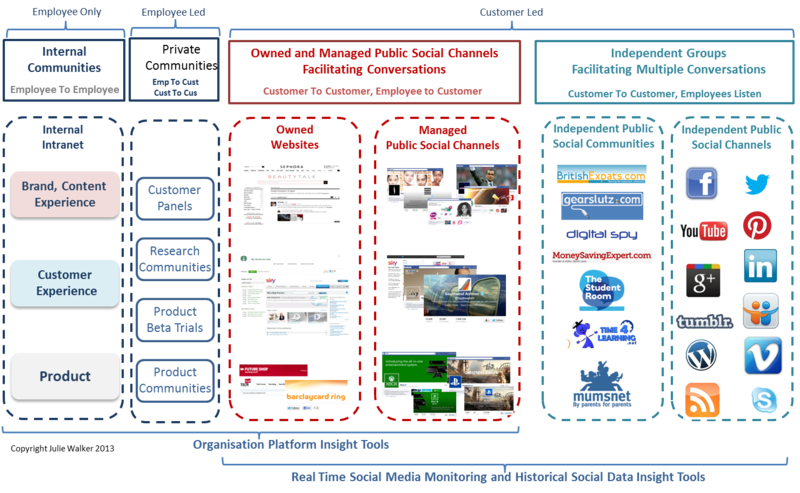 In order to highlight the different layers of social conversations which offer organisations the opportunity to filter and mine social data with the goal of extracting consumer and market insights I have developed the social conversation sphere. 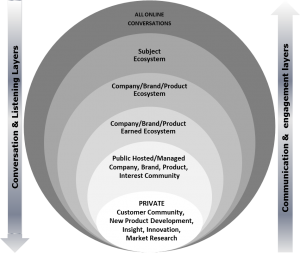 The largest sphere contains all online social conversations on all subjects across all channels and provides access to the broadest levels of conversation. This area can be used by an organisation to answer a broad question about their company, products, customers, and competitors, current and potential new markets. For example an organisation may launch a new brand, product or website and after a period of time, they can carry out some broad analysis of conversations to find out customer and market perceptions based on the key themes which emerge from any and all conversation around a particular word or phrase. They may find the key messages have got across successfully and the target customer group are using the product/service as intended or they could find that a different group is using the product in a different way. All findings provide feedback and understanding for an organisation. Social Media Monitoring tools can be used to filter conversations to narrow down the social data sets. See below for how to select social media monitoring tools. The subject ecosystem contains all social data from all social channels filtered by a particular subject area, for example you may be interested in coffee, alcohol, fast food, travel or some other broad subject area. This layer of social data is refined and narrowed down by key search terms which restrict the data set to one which is relevant to this key subject area. This is where social media monitoring and filtering tools kick in and help you identify subject, segment and market social data sets. See below for how to select social media monitoring tools. The company, product, brand or service ecosystem contains all social data from all public social channels, both third party sites and earned ecosystems, which is filtered by a particular company, product, brand or service name. This layer of social data is refined and narrowed down by key search terms relating to your company/brand/product or service, providing the opportunity to extract insight from relevant conversations. This is where social media monitoring and filtering tools kick in and help you identify data sets relating to your company/brand/product or service. See below for how to select social media monitoring tools. An earned ecosystem is one where a company/product/brand or service has garnered public support/engagement across third party public social networks owned and managed by organisations and individuals not associated to the company/brand/product or service. Conversations which take place on an earned ecosystem provide different types of insight to those on hosted or own public and private social networks, as many of these sites offer a level of anonymity and may have different guidelines and moderation services to those managed and hosted by a company. An earned ecosystem property may be an industry publication or website, an independent blogger, a forum or social network run by a fan or customer, a competitor’s site or a comment on a news of blog item. This is where social media monitoring and filtering tools kick in and help you identify data sets relating to your company/brand/product or service which take place within the earned ecosystem. See below for how to select social media monitoring tools. 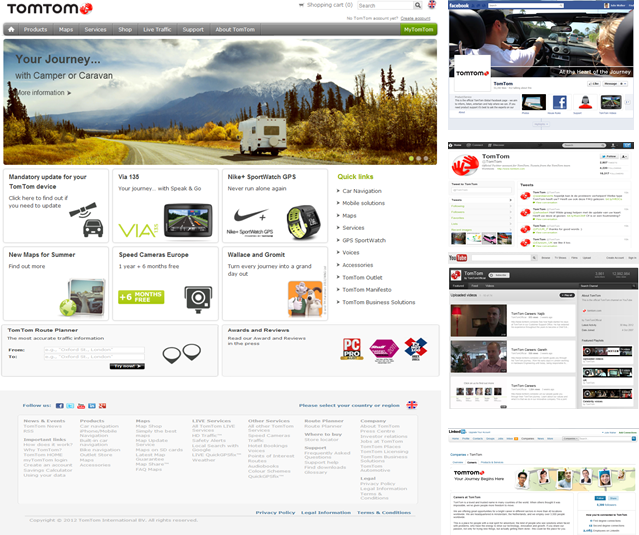 As more and more current and potential customers use online resources as a means to research companies, brands, products, services and individuals, there are more and more social channels to access both independent information and also platforms for more direct access to a company, brand, product, service or an individual. Companies can and do monitoring conversations across all channels, but may not respond across each and every one, but use their own platforms both on public social networks like Facebook, Twitter and LinkedIn and also public hosted customer communities on their own websites like Dell’s ideastorm.com, Starbucks, mystarbucksidea.com and skys help forum. This ecosystem provides the opportunity for a company, brand, brand, product, service or individual to have the opportunity to invest more time and resources into facilitating conversations between and with existing and future customers; provide a platform to extract ideas about new products and enhancements to existing products and services and opportunity to reflect back to the community about the actions taken based on feedback in these communities. 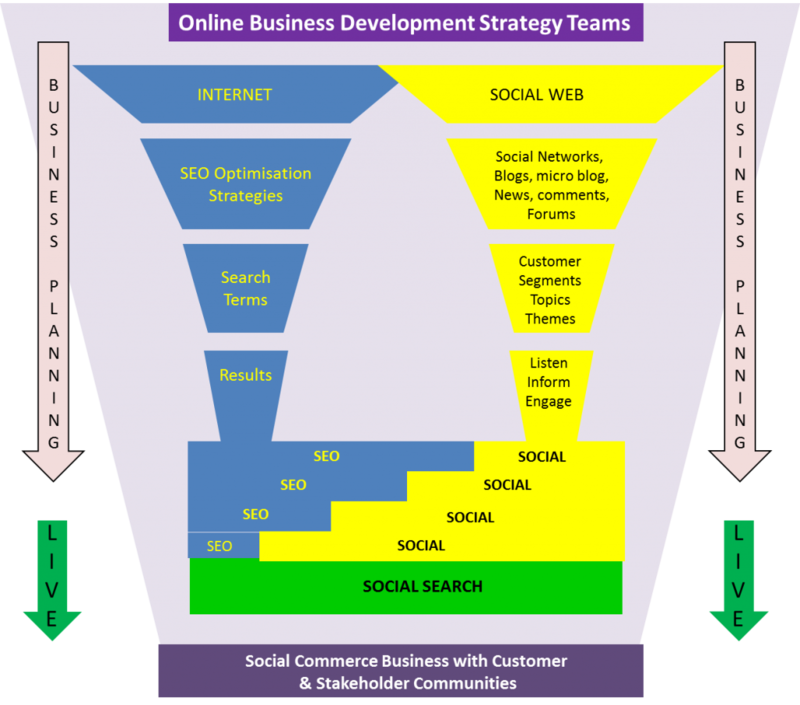 At the heart of the social conversation sphere is private online customer communities, which provide a platform to create in depth on-going conversations with a small group of engaged customers over an extended period of time, this may be anything from a few months around a particular project or over a number of years. These communities bring together customers who are happy to participate in a range of market research activities, the output from which is fed back into an organisations market research, insight and new product development teams, influencing business, marketing and new product development decisions, de-risking innovation and accelerating the success of new product launches. The paper below provides an overview od the key features and functionality of social media monitoring tools and guidance on areas to think about when selecting them.